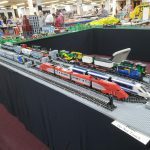 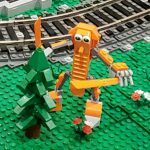 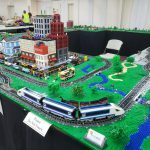 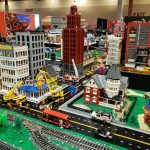 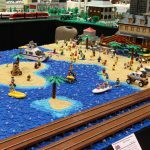 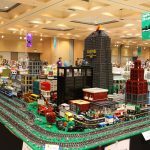 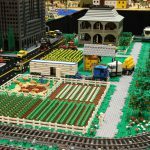 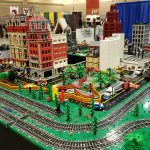 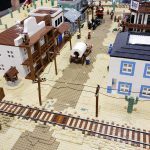 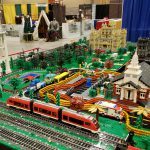 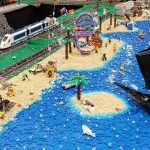 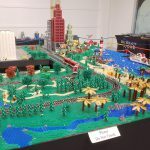 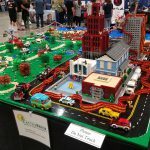 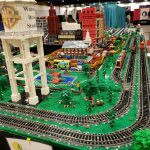 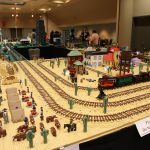 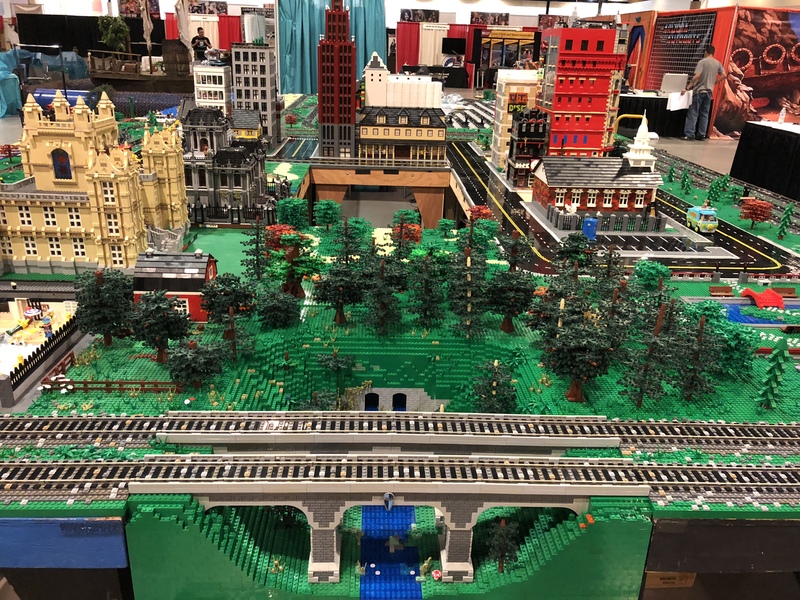 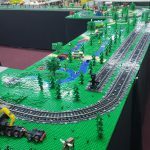 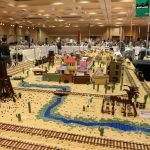 Cactus Brick will have a train display at the Great American Train Show in Phoenix on March 9-10, 2019. 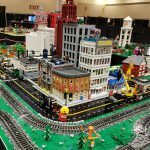 The show is open from 10am to 4pm. 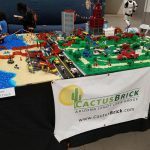 Here is a presentation about Cactus Brick’s use of MILS. 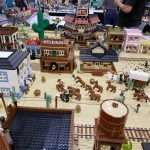 Come see us in person at the Phoenix Comic Fest on Friday, Saturday, and Sunday (May 25-27). 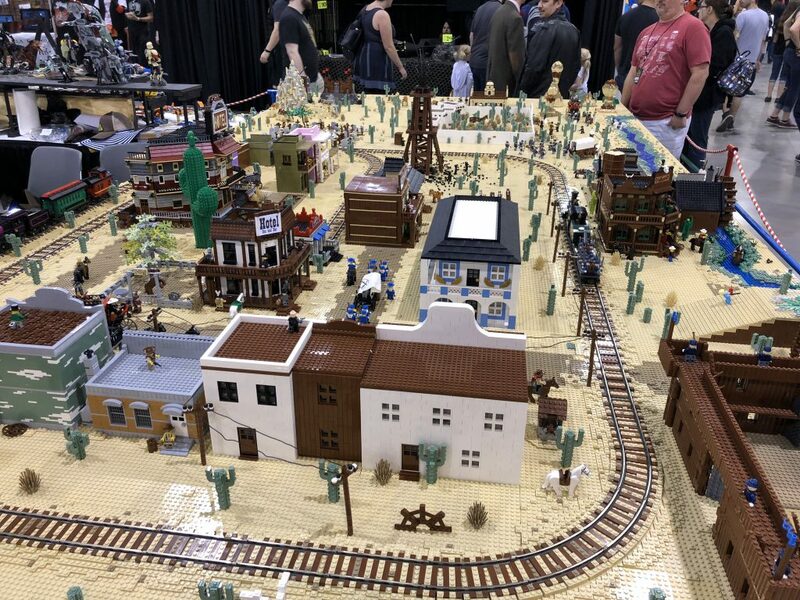 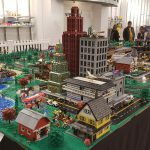 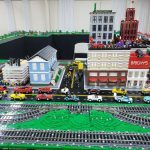 We have a 30×40 foot layout of city and trains, Star Wars, and a western town. 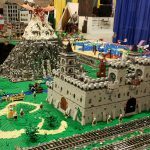 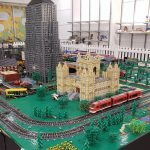 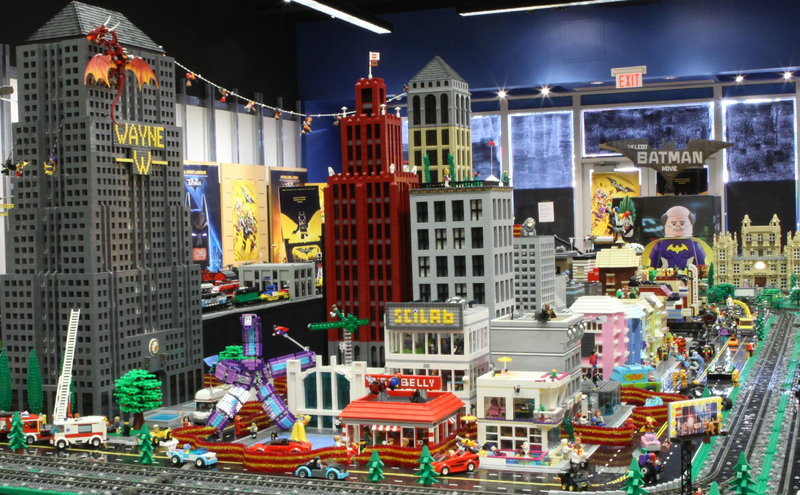 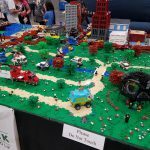 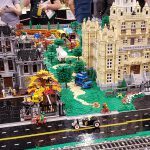 In addition, there is a LEGO Build Off experience for the whole family. 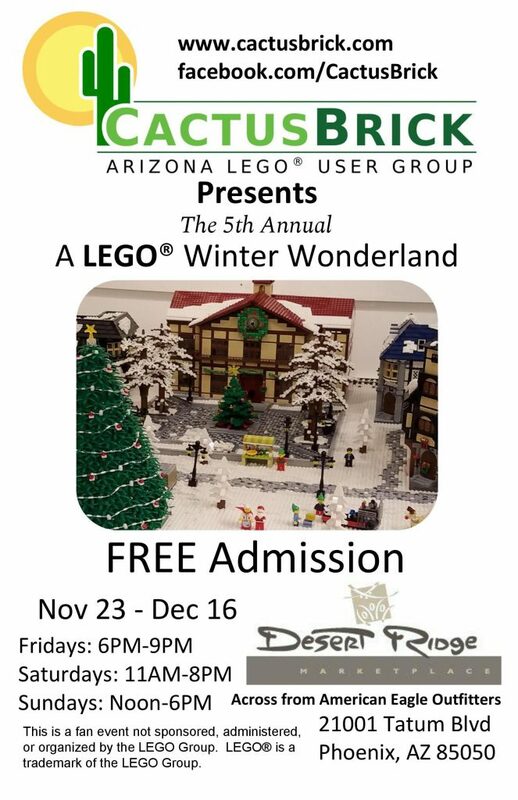 We have a large display at Desert Ridge Marketplace (Tatum & 101) from Nov 17th, 2017 to Dec 10th, 2017. 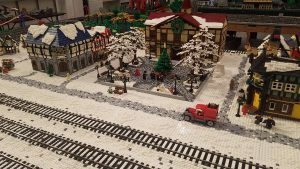 We are located across from American Eagle Outfitters. 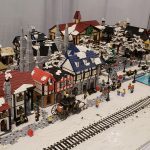 The display includes a large city/train layout (Justice League theme), Winter Village, Pirate scene and a lot of Star Wars models. 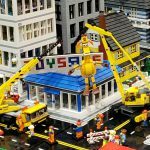 We’ll be open on Friday nights, Saturdays and Sundays. 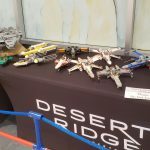 We are starting to setup a large display at Desert Ridge Marketplace. 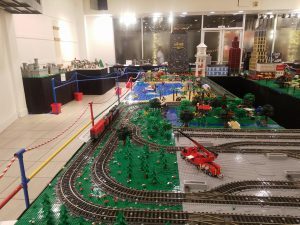 We will have the display open for 4 weekends. 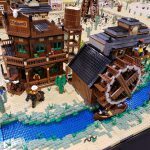 Exact times will follow this post. 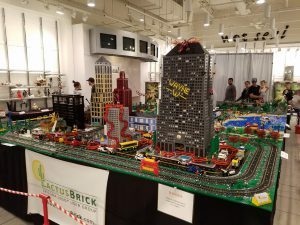 This is one of our largest displays and it’s free. 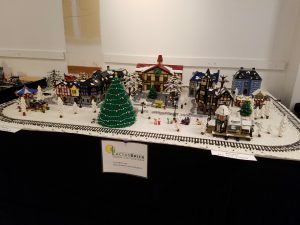 Desert Ridge Christmas 2016 – Winter Village center.